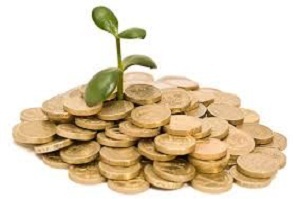 Predictions for Venture Capital Funding trends in 2013 are as numerous and diverse as the venture capitalists themselves. However there are a few general trends that VCs seem to agree upon. 1. Venture Capitalists are worried about Washington. Dennis Dougherty, founding partner at Intersouth Partners, explained for Inc. that 2012 was a year of contraction for VCs, leading to reduced funds for 2013. In interviews, Dougherty, Jon Callaghan (founder and managing partner at True Ventures) and Promod Haque (managing partner at Norwest Venture Partners) all mentioned concern over the current climate of partisanship in Washington, which they say needs to recognize VC funding’s contribution to GDP. 2. Tech will (continue to) be big. Eric Chin, general partner at Crosslink Capital, predicts the growth of alternative markets. While traditional product sales have already seen this revolution (think eBay or Amazon) the service industries, teaching, cleaning, and construction, are on the brink of change. Haque is bullish on tech, his focus is on big data/analytics, software-defined networking, storage and cloud storage, healthcare IT and social enterprise companies. Callagan partially agrees with Chin and Haque while he also predicting growth in healthcare IT and education. Dougherty noted VC funds are increasingly moving toward late-stage funding. Historically that may have been a bad thing, but the growth of technology has made it easier than ever to bootstrap a start-up, leading costs to drop in 2012. A survey conducted by VentureWorthy.com revealed that the average amount of capital a startup and launched company seeks today is $100,000 and that for a profitable company it is between $1-3 million. Their website says, that’s a dramatic drop from the last time period, where the average company was seeking $1-3 Million. This trend is known as “bootstrapping,” where companies are proving their business case with much less capital. With the changes in Washington, the growth of alternative markets and technology, 2013 is set to be an exciting year for Venture Capital Funding.